We are a company but above all a family who believes in Made in Italy and only in handmade products. Our main job is the design and creation of handbags for women and men for use in any context, exclusively made by the best Italian artisans and above all with Italian skins. We are in fact close to Solofra, a town in the province of Avellino famous for the processing of the best Italian skins. We also carry many leather accessories (handles and key rings), but also belts and wallets. In 2008 Mario and Antonello, two brothers, driven by the twenty-year-old paternal experience in the field of leather goods, founded "Marant s.r.l." which is also named after their brand "Marant bags and accessories". 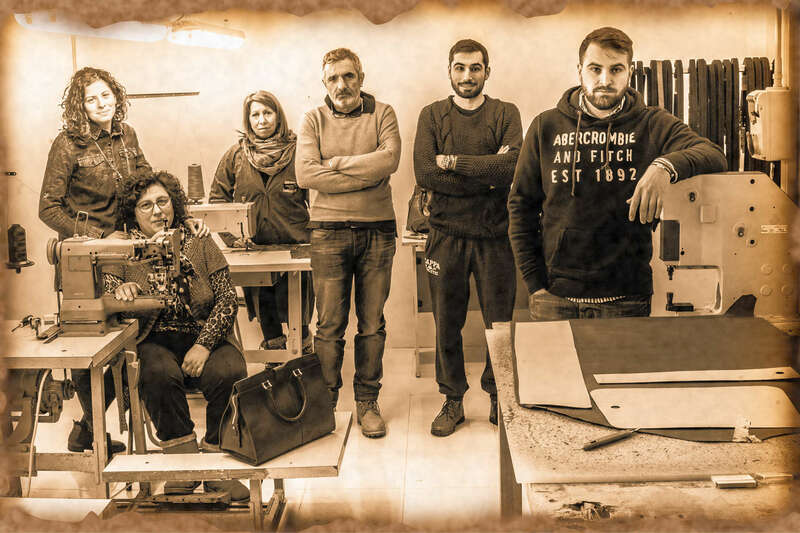 As a starting point for their company they choose their country, Montoro, province of Avellino, just a few minutes from Solofra, the latter city is the world center for the best leather production in circulation both in Italy and in the world. From now on, they specialize in the production of leather bags and accessories. Under the careful supervision and control of the Production Staff and the two brothers, the laboratories produce only high quality products thanks to a handcrafted Italian craftsmanship and thanks to the most precious leather selected directly in the area. For many years, Marant has participated in the largest international trade fairs in Paris, Monaco, London, Tokyo, Moscow, Milan and many more. Marant produces fresh and fresh collections that are always up to date with fashion, without losing that elegance that distinguishes them.